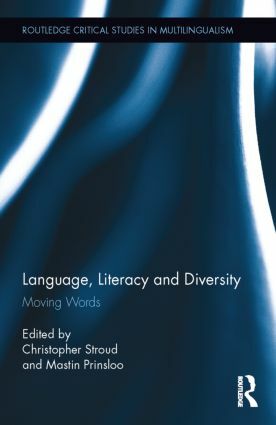 Language, Literacy and Diversity brings together researchers who are leading the innovative and important re-theorization of language and literacy in relation to social mobility, multilingualism and globalization. The volume examines local and global flows of people, language and literacy in relation to social practice; the role (and nature) of boundary maintenance or disruption in global, transnational and translocal contexts; and the lived experiences of individuals on the front lines of global, transnational and translocal processes. The contributors pay attention to the dynamics of multilingualism in located settings and the social and personal management of multilingualism in socially stratified and ethnically plural social settings. Together, they offer ground-breaking research on language practices and documentary practices as regards to access, selection, social mobility and gate-keeping processes in a range of settings across several continents: Africa, Asia, the Americas and Europe. Christopher Stroud is Senior Professor of Linguistics and Director of the Centre for Multilingualism and Diversities Research at the University of the Western Cape, South Africa. He is also Professor of Transnational Multilingualism at the Centre for Research on Bilingualism at Stockholm University, Sweden. He has researched and written widely on multilingualism, language planning and policy and language education in contexts as diverse as Papua New Guinea, South East Asia, Scandinavia and Southern Africa. Mastin Prinsloo is Associate Professor in Applied Language and Literacy Studies at the University of Cape Town, South Africa. His research in Literacy Studies is currently focused on young people’s engagements with electronic media, particularly in low socio-economic contexts. His earlier research has included studies of unschooled adults’ literacy engagements and children’s early literacy learning.